Rush hour city drivers are spending almost half their journeys - 43% of the time - sat in stationary traffic, an increase of 13.7% compared to five years ago. The new research, conducted by Citroën, found that over a one hour journey at peak times, the average inner city commuter could be spending around 25 minutes 39 seconds - or 43% of their trip - at a complete standstill. 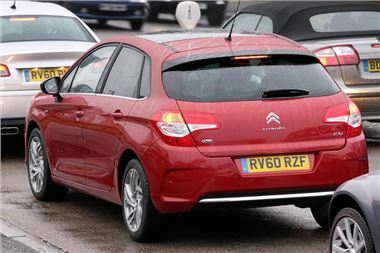 The study was carried out to promote the New Citroën C4’s e-HDi ‘Stop & Start’ diesel engine technology. Citroën analysed journeys during the traditional morning and evening rush hours - 8-9am and 5-6pm - in five major UK cities; London, Manchester, Norwich, Birmingham and Cardiff during February. The same routes were first monitored in 2006 and the study was repeated in 2008. The research found that city motorists could be doing zero mph for approximately 43% of their twice daily commute. Over the evaluated rush hour periods, that figure has increased by an average of 3 minutes 5 seconds - or 13.7% - over the last five years. Obviously the proliferation of traffic lights and the way they are controlled are to blame. Londonand Manchester saw the biggest increases. Drivers in the Capital were static for 19 minutes 20 seconds on average in 2006, but this had risen to an amazing 36 minutes 28 seconds at the start of 2011. Manchester leapt from 21 minutes to 28 minutes 39 seconds. In contrast, Cardiff saw an average 10 minute reduction in the time spent stationary. “Our continued research shows the overall congestion in UK cities is not getting any better for traffic weary drivers. The spiralling cost of fuel is a raw issue and an idling engine in stationary gridlock only adds to the bill,” added Raven. Citroën commissioned the research to highlight the benefits of its e-HDi models, which feature ‘Stop & Start’ diesel engine technology. Available on the New Citroën C4, this intelligent second generation ‘Stop & Start’ system maximises economy and minimises CO2 emissions by turning off the car’s engine when stationary. *All journeys were conducted over a 60-minute period.